California can be an annoyingly trendy state. Think avocado toast, In-N-Out Burger, Hollywood fashion, even legal pot. But Californians are now in the vanguard to fix the serious problem of how to pay for public higher education. 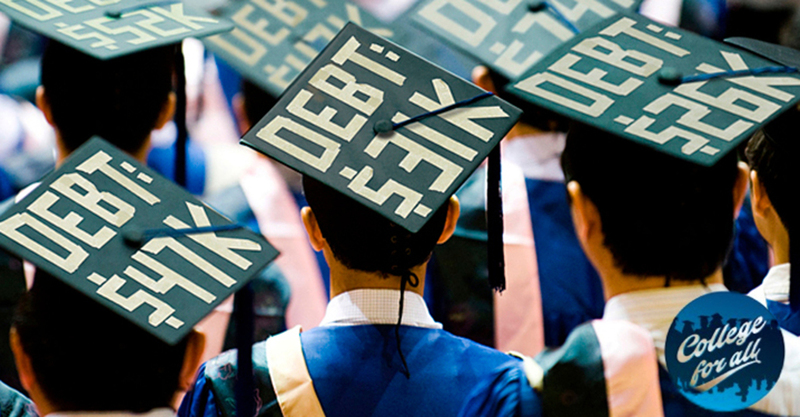 Over 44 million households in the U.S. are saddled with college debt—$37,000 on average. Together they owe over $1.4 trillion, surpassing credit card debt and auto loans. In the 1970s, California led the world with its famously accessible public universities and community colleges. Millions of Californians received a virtually debt-free college education. A friend of mine attended both undergraduate and grad school at the University of California in the 1970s and covered all of his tuition and expenses by painting houses during two months of the summer. That’s not possible anymore. Decades of tax cuts for the wealthy, state budget cuts, and rising tuition and fees have pushed costs much higher—and right onto students and their families. Between 2011 and 2017, in-state tuition and fees at the University of California rose by nearly a quarter, from $10,940 to $13,509. Out-of-state costs grew to over $40,000. San Francisco voters took a bold step in 2016 to push back on that trend. They voted to tax luxury real estate tax transfers, generating over $44 million a year from property sales over $5 million. The city allocated a portion of this revenue to provide free tuition and stipends to San Francisco Community College, boosting enrollment by 16 percent. Diaz has joined an effort to expand the concept beyond San Francisco. She’s collecting signatures for the California College for All initiative to expand college access for over 2.5 million California students. If successful, the effort will generate an estimated $4 billion a year to invest in public higher education—and greatly reduce tuition and fees. Over 80 percent of the funds will be targeted to students based on need. Funds will come from restoring a state inheritance tax on Californians with wealth over $3.5 million and couples with over $7 million. These same households just got a massive tax cut at the federal level, as Congress voted to double the family wealth exempted by the federal estate tax from $11 million to $22 million. At a time of extraordinary wealth inequality, taxing wealth to pay for higher education is a powerful idea. If the California initiative passes in November, it will serve as a model to the nation for how to both reduce concentrated wealth and expand college opportunity. It may sound radical. But the idea basically restores the formula for college access from the post-World War II era. In the decades between 1945 and 1980, we taxed high incomes and wealth at much more progressive rates and invested in expanding public higher education. Other states are addressing this problem too. Tennessee created the Tennessee Promise, a scholarship and mentoring program that provides two years of “last dollar” assistance to college students to fill any gap not provided by Pell Grants. In Michigan, a group of anonymous donors started the Kalamazoo Promise, guaranteeing free tuition to students who graduate from that city’s high schools. Other states, such as New York and Massachusetts, are moving toward free community college. But the California solution would be the most comprehensive initiative yet, covering millions more students at all levels of the public education system. That’s the best idea since beach volleyball and Mickey Mouse. 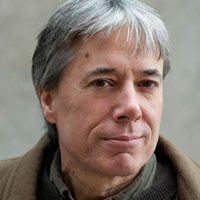 Chuck Collins is a senior scholar at the Institute for Policy Studies and a co-editor of Inequality.org. He’s the author of the recent book "Born on Third Base."